For the very first time in Germany! For the very first time in the Czech Republic! For the very first time in Poland! Yes it was our very first tour in Europe! And the first impulse that comes to mind is “what a shame we did it only now”? We have been performing for along time and only now we decided to visit the European countries to play gigs. It’s not like we never wanted to sing there, we did indeed. But it always seemed to be such a challenge. It’s kinda different culture, different people and so on. And as it turned out now, European people are so generous, kind and what most important to us, they are very open-minded so and open to different cultures and different music genres. However, country music that we play, is not so popular as in The United States, but people really like it. It’s such a pity we used to liner so long until we went to those three amazing, truly European countries. The first concert at THE EUROPE LAST CALL TOUR took place in Berlin, Germany. Lots of people arrived to support. Our German fans are really faithful. During the performance we decided to focus on our old songs like Had a Dream, John Deere Tactor, Isn’t He a Strange One, Change of Heart, Blue Nun Cafe, Cry Myself to Sleep and Dream Chaser obviously. Of course staying in such a city like Berlin, we took this opportunity to visit a few historic places like for example Berlin Wall. The next whole week we spent in Poland, mostly in Krakow – apparently royal city. In general we were going to give five concerts in Poland including 2 last ones in Krakow. Since between the concerts we had a day off we took a tour to Aushwitz – the german former concentration camp. What we’ve seen there was unstandable. Thousands of victims’ items of everyday use and so on… that was a really hard place to sightseeing. Anyways, the same day in the evening we were going to give a concert at Krakow’s Tauron Arena. As always, our merry fans, you guys didn’t let us down! You gave us so much support during the concert that even now we can feel the positive energy from you folks. I only wish we could sing This Country’s Rockin’ cause it is indeed! Well, finally we sung such songs like One Man Woman, Give a Little Love, Cadillac Red, The Sweetest Gift, Talk About Love, Guardian Angel, John Deere Tractor and One Hundred and Two. The public seemed to be under impression but I guess we were even more seeing the crowds dancing and singing and jumping and so on. Unforgettable view! Thanks Poles! Wynonna and Naomi at the stage in Prague. The last country during our Europe tour was Czech Republic There we performed only twice since the third concert was cancelled because of some national holiday. However, we have given a concert in the most beautiful city in Europe I guess – Prague. Th city of Prague is truly amazing place. Breathtaking views, medieval architecture, kind, helpful and very generous people – all of these makes the city a really interesting place that you just want to come back to. Then we only went sightsee the city centre which looks life from some charming movie and that’s it. On the other day we had a meeting with funs and we had a lot of fun! Hope you guys too! One thing is certain – we must come back there as soon as possible. On the way we’re going to visit another European countries like Spain, Italy, and Slovakia. Thanks again to all of our fans and agents that made everything to make our stay in each country as easy and trouble free as possible. 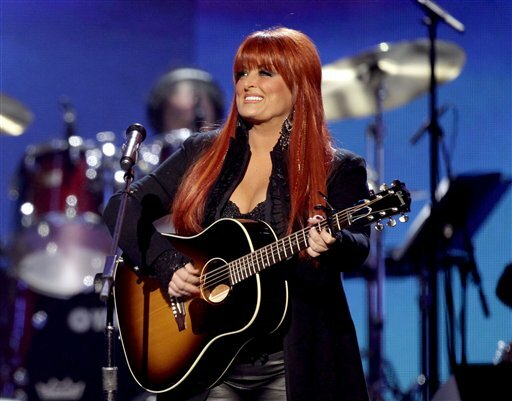 Wynonna during the concert in Berlin. Your concert in Krakow was amazing. I hope you will come back! Regards from Poland! Naomi- beautiful dress. 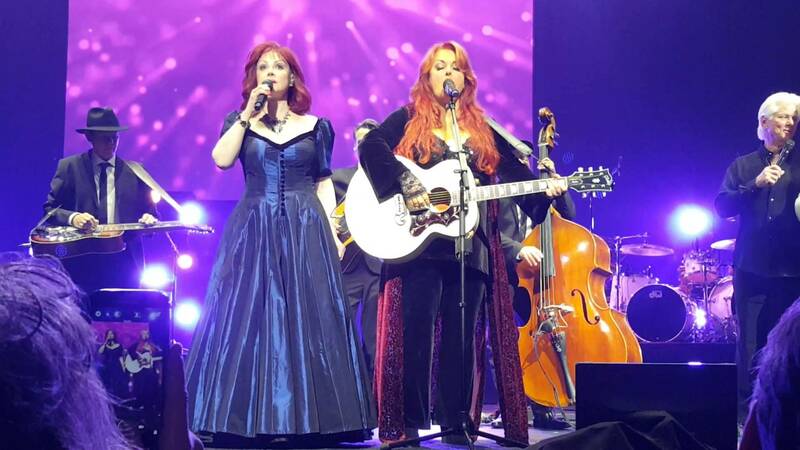 You’ve got power The Judds, come to Prague once again!